10 weeks old, and beautifully formed by God :-) The due date is 26th January 2015. Well, he’s 10 weeks since conception. In “pregnancy time”, he’s 12 weeks, as they count from slightly earlier. 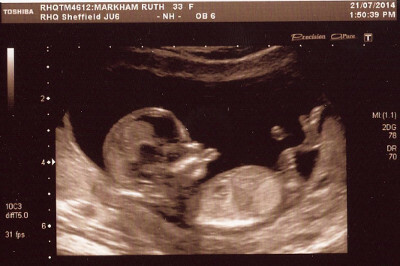 So this was our 12-week scan. The due date is the 26th of January. Are the future brothers happy?